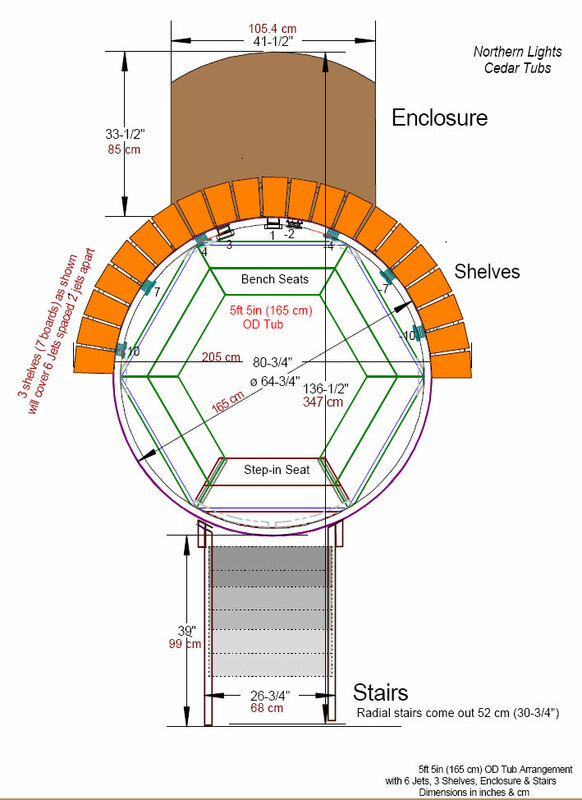 Optional Custom cedar stairs are ideal for easy entry on a standalone configuration (hot tub not built into a deck). 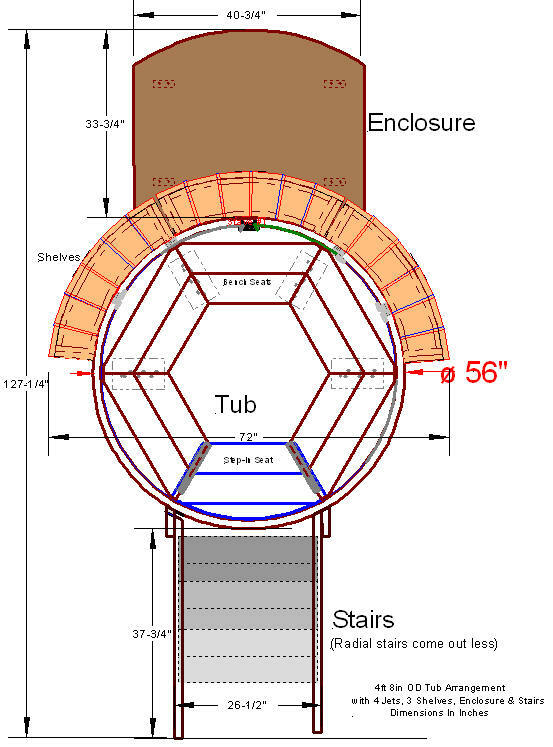 The stairs are custom angled to fit properly with each different hot tub circumference size. 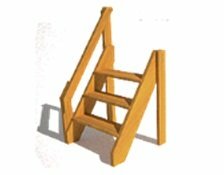 Their solid construction includes 2" x 8" solid cedar stair risers. 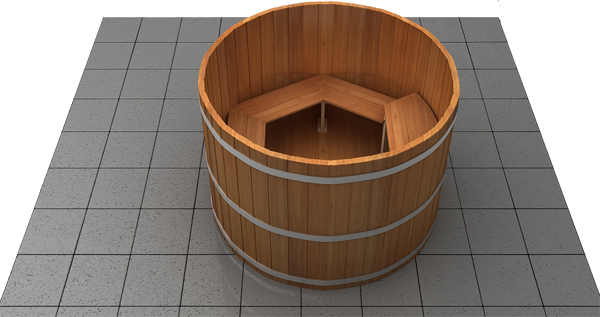 Optional Custom cedar side shelves are designed specifically to match each circumference of hot tub size. They allow an ideal spot for drinks and towels. 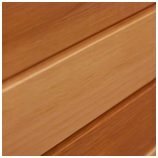 As a further option, we offer cedar skirting to hide the jet plumbing. 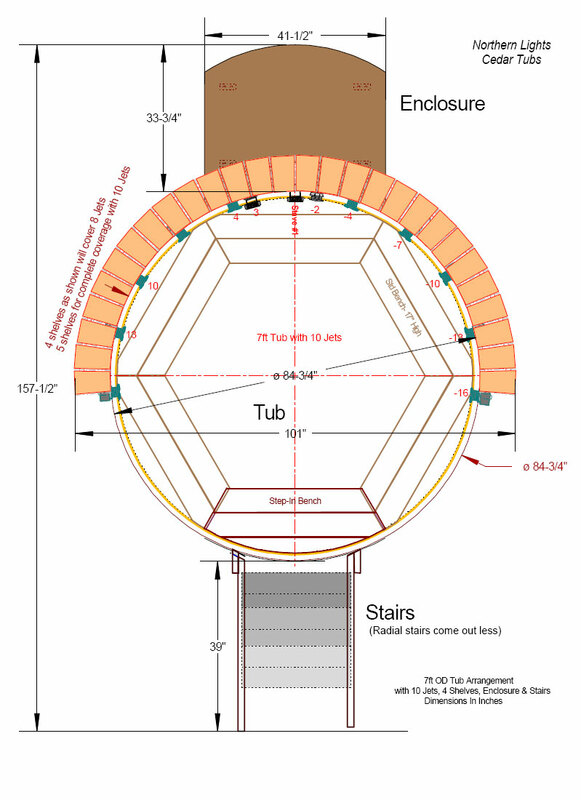 Optional Custom cedar housing is unique to Northern Lights Cedar Hot Tubs. This option is custom built to isolate the hot tub's electronics (balboa spa pack, ozonator, pump and filter) from the elements. It also allows easy access to the top load filter canister for quick filter cleaning. 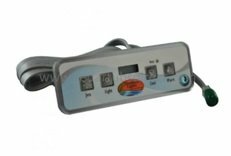 Top side LCD controls that operate control functions such as light and jets and temperatures. 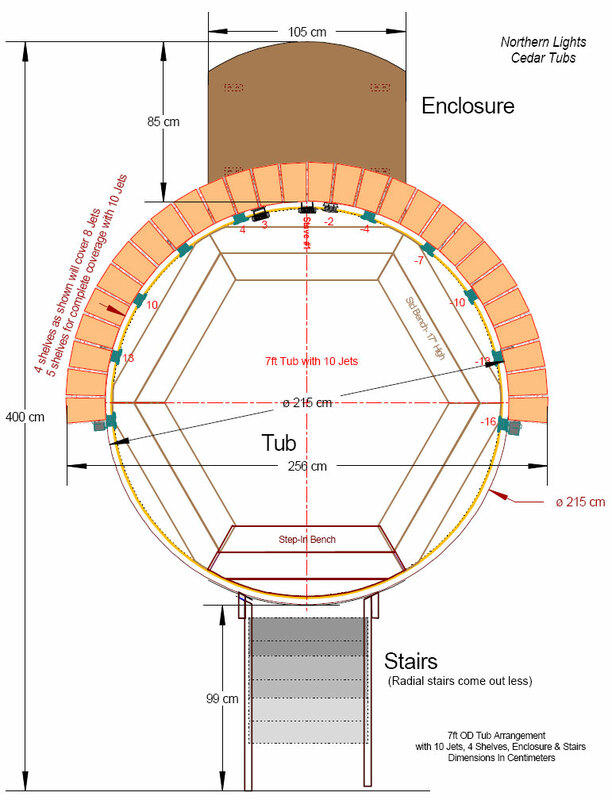 Provide heating accuracy that is +/-1 degree. 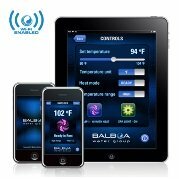 Wi-Fi controller option available for phone and remote control. 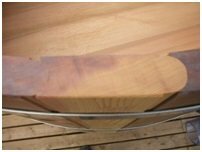 Our laser guided milling design uses two separate joints; a canoe joint for the staves and T&G joint for the floor giving superior water tightness. 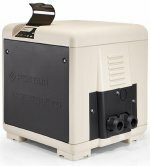 5 types of heaters to choose from natural gas/propane, electric or wood fired, solar, heat pump, and air source heat pumps for heating system’s. 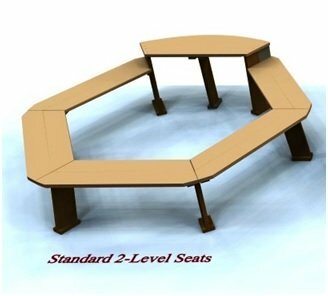 Bi-level hexagon seat structure, allows for different heights and soaking levels, great for kids! 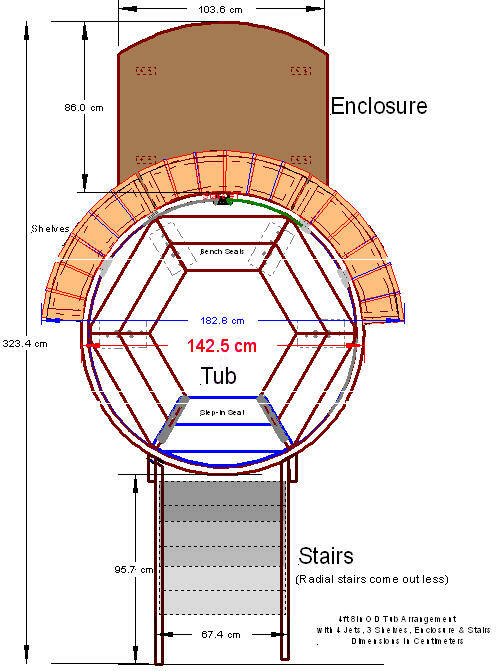 The upper seat makes entry into the tub easier. 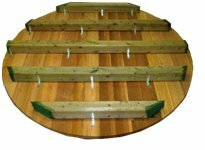 Pre-assembled floor with pressure treated 4x4 floor joists support the floor solidly. 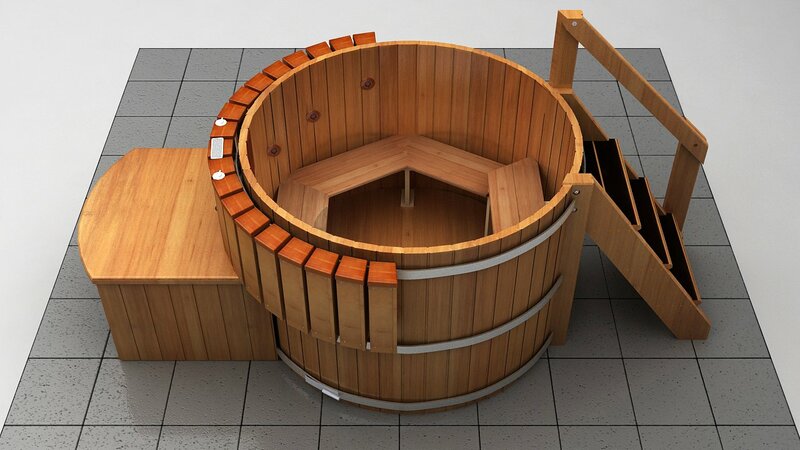 Adjustable Industrial Cedar Jets designed specifically for wooden hot tubs ensures durability, and include 1" air valve for maximum adjustable jet pressure. The dual air controls allow for individual adjustment of jet pressure. 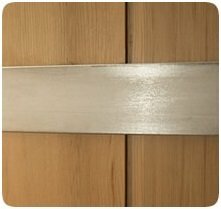 We use only 304L grade stainless steel straps and screws to eliminate any rust or oxidization. 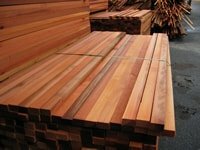 Using only 100% Clear Western Red Cedar! No Knots! 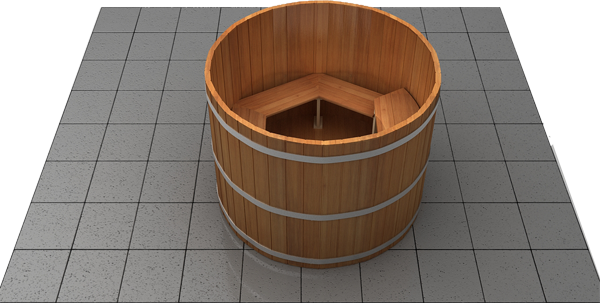 Our tubs stand 48" high with 47"staves (sides), this allows for nearly 43" of interior depth, giving the ultimate soak experience! 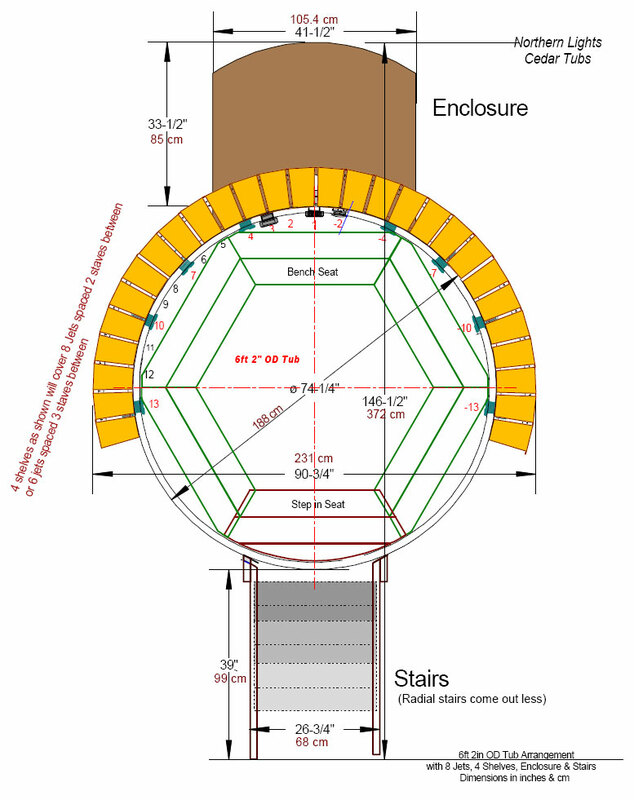 Height of Ground 48" 48" 48" 48"